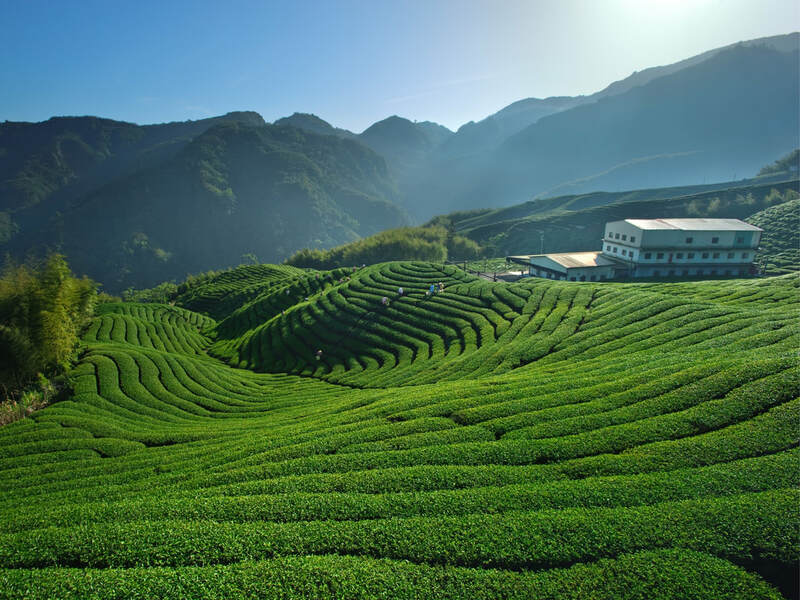 Our brew starts with a high quality, certified organic, kosher, whole, loose-leaf Sencha green tea. That’s a mouthful. A dreamy, deliciously mild one at that. We love the green tea flavour. Subtle and soft, it allows our flavour infusions to shine through. Sourced from the mountains of Japan and imported to our distributer in Ontario, each batch received is tested and has a certificate of analysis showing it has passed microbiological testing. We receive our tea in bulk, never in tea bags, and steep at 75 degrees celsius in a reusable nylon bag. Being such a big part of our process, it was imperative for us to find a sustainable, non-leaching method in which to steep our tea. 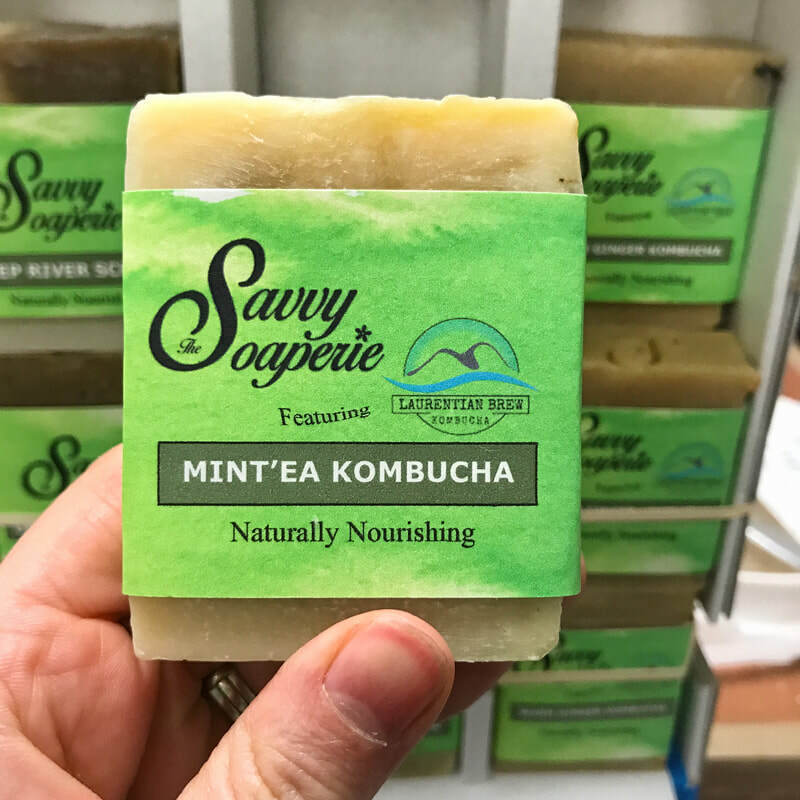 Caffeinated tea is required as a nutrient for the kombucha culture, although the majority of the caffeine is consumed throughout the fermentation process. We recently had the caffeine levels in our kombucha lab-tested and much to our surprise, the caffeine content in 250 ml of kombucha was 5 mg. In comparison, the average cup of coffee contains around 95 mg of caffeine and decaf coffee contains around 3 mg, making the levels in our kombucha a pretty safe bet for those sensitive to caffeine. We’re passionate about brewing kombucha. But not just a race to the final product. We take care to ensure you’re getting what you deserve. A premium product from start to finish, with each ingredient and method carefully selected and executed. And in our case it starts with a healthy live culture and the finest sencha green tea. We're in KINGSTON at Symphony Spa & Yoga! We're in Symphony Spa & Yoga on Brock Street in the heart of downtown Kingston! You'll find a fridge full of kombucha in the newly launching smoothie bar. To compliment the wide range of wellness treatments in Symphony, the spa is opening a café and smoothie bar THIS WEEK! Sip on a healthy, raw smoothie or kombucha after completing a hot yoga class or while getting pampered with one of many salon and esthetic services. Featuring a hair salon, yoga studio, massage therapy, waxing and sugaring, lash extensions, facials, laser hair removal, manicure/pedicure, and a café lounge, Symphony is an elaborate, one-stop-shop for personal wellness and self-care. Kingston brides-to-be, and girls-day-out - this is for you! Head to www.symphonyspa.ca for more info. We're looking forward to sitting on that patio this Summer! Since we were in London for the weekend, we figured it would be great to sample our kombucha in the Farm Boy Wellington Street location! What a great weekend in London, ON for the first annual London Tea and Kombucha Festival! Such a great group of tea sommeliers, tea totalers, tea enthusiasts, kombucha brewers and fans came out for the event at the Wolf Performance Hall downtown London. We certainly enjoyed meeting new faces, making new friends, and getting to know some of the kombucha brewers in the area. So many teas to sip on! We're grateful for the welcome invitation and thankful to Founder, Michelle Pierce Hamilton, fellow RHN, tea sommelier, and owner of The Tea Lounge and Be Teas and her wonderful team for bringing this festival to life. Three New Farm Boy Locations have our Kombucha! You can find Laurentian Brew Kombucha in another 3 Farm Boy locations! ​and in Farm Boy's newest location at Leslie and Lake Shore in TORONTO. 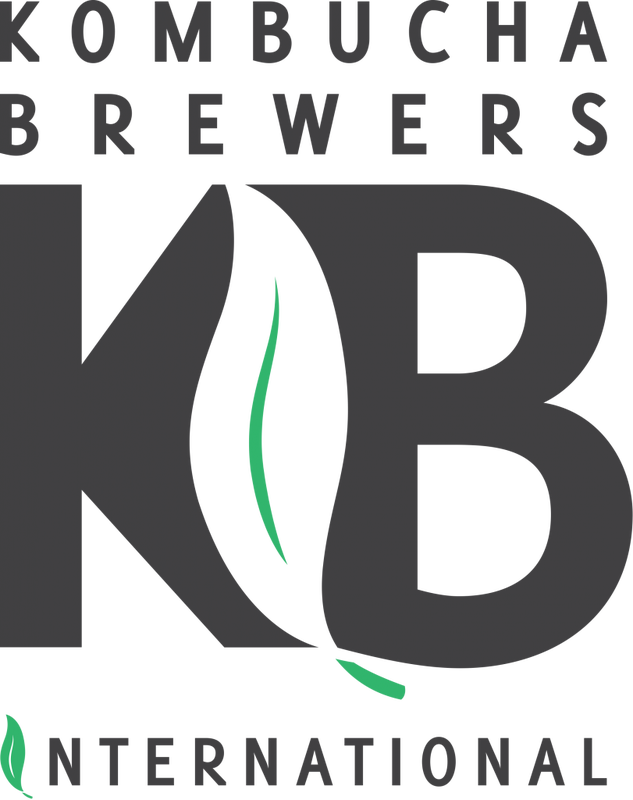 We're so excited to bring our brew to more areas in Ontario. Check out our retail map to find a store near you. Thanks for the support in our expanding outreach! Booch Balms are available at Blendz Smoothie Shop and Healthy Eatery in Pembroke! All natural nourishment for your lips made using healthy kombucha culture in collaboration with the balm-making expertise of Sister Moon Gems and Herbs. Find Peppermint Lavender and Sweet Orange Spice in stock at the front counter. Valentine's Day Promo & Giveaway! Buy 2x 1L bottles and get $4 off!! 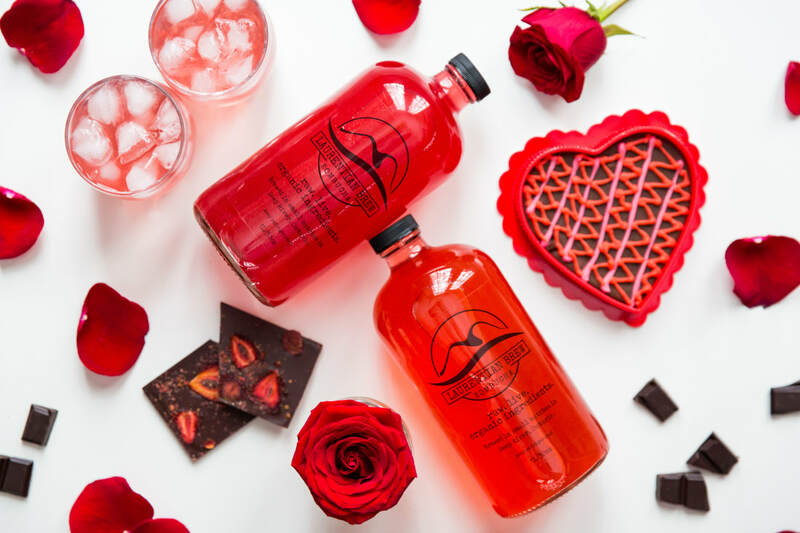 We want to say THANK YOU and show how much we appreciate you all so we teamed up with our on tap locations to bring you some Valentine's Day love. Starting Saturday, February 9th until February 14th, purchase any two 1L bottles at The Olive Tree in Deep River or Blendz Smoothie Shop & Healthy Eatery in Pembroke for $4.00 off the regular price. PLUS head to our Facebook Page and enter to win 2 big bottles of our brew. Winner to be announced on Valentine's Day! How very cool to meet up with this guy today! 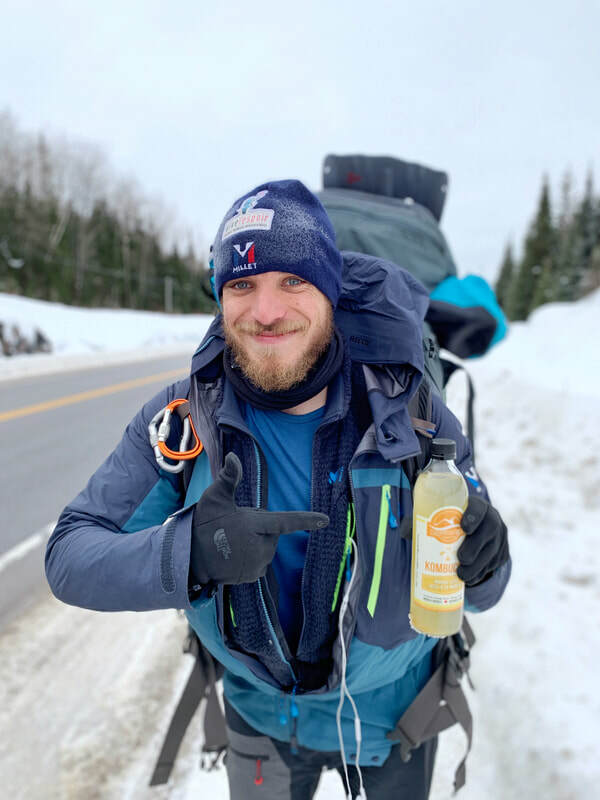 We’ve been following Dylan on his journey across Canada and it is nothing short of inspiring. Walking 5000 km on foot from Montreal to Vancouver is an incredible feat but to do it alone, and in Winter!? Absolutely amazing. There’s been some ridiculously cold weather lately and we can’t even begin to imagine the willpower it takes to continue this journey from morning until night. I saw him on my route to deliver to North Bay, looked down at my kombucha for the ride home and thought.. you know what this guy needs...? A kombucha! Lol. Of course, I really just wanted to stop and say how impressive he is. Follow his journey on instagram @dylan_trekking and on Facebook 5000 km by foot. So nice to meet you, Dylan!! I wish I would have had more time to chat and offer you a warm meal. Happy travels! ***Note: If anyone wishes to offer up their home for a nights stay, I'm sure he would greatly appreciate it. Follow his journey and shoot him a message if you're along the way! He is in North Bay for the evening and will carry on through Ontario for the next while. C’était absolument extraordinaire de rencontrer cet homme ci aujourd’hui! On a suivi l’aventure de Dylan d’un bout à l’autre du Canada et c’est tout à fait inspirant! À pied pendant 5 000 km, à partir de Montreal jusqu’à Vancouver, c’est tout un exploit! En plus, le faire seul et durant l’hiver? Absolument incroyable. Il a eu des journées très froides dernièrement et on ne peut pas s’imaginer à quel point il faut avoir de la volonté pour continuer cet aventure du matin au soir. Je l’ai vu quand j’étais sur la route afin de délivrer à North Bay. J’ai regardé mon kombucha que j’avais pour le trajet vers la maison et je me suis demandé ce qu’il aurait besoin!? Du kombucha! Lol. Bien sûr, je voulais juste m’arrêter afin de lui dire comment impressionnant il est. Vous pouvez le suivre pendant son périple sur Instagram @dylan_trekking puis sur Facebook 5000 km by foot. Mon plaisir de t’avoir rencontrer Dylan! J’aurais aimé avoir plus de temps afin de parler davantage et t’offrir un mets chaud. Bon voyage! Arnprior's newest business Good Food To Go has recently opened their doors. A gluten-free, peanut-free facility, Good Food To Go features healthy grab-and-go meals with a focus on fresh, nutritious ingredients featuring soup, salads, hot food, gluten-free muffins, and daily specials. For those with a gluten intolerance, dietary restrictions, or just looking for a healthy take-out meal, Good Food To Go makes it an easy choice for lunch and supper. Located in Unit 6 at 75 Elgin Street in the heart of Downtown Arnprior, it is easily accessible with ample free parking in front of the building. The store is bright and cheery, with accents of their signature fresh green colour, and an impressive backsplash makes for a great feature wall in the exposed kitchen. Owner Leslie Wirth wanted to create a space where you could see the food being prepared, as well as a view to the back storage area containing their premium products and ingredients used in their recipes, bringing more transparency to the made-from-scratch meals. 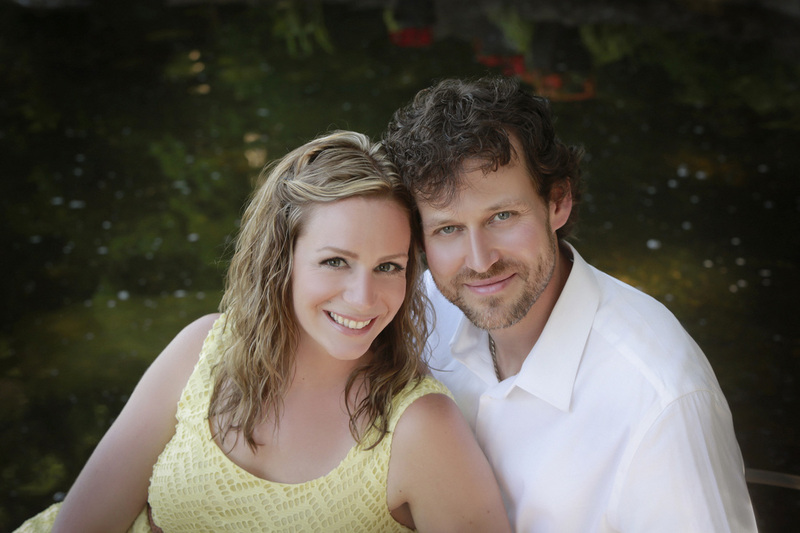 Having knowledge and personal experience with celiac disease, Leslie was aware of the lack of fully gluten-free, and peanut-free options in the area. After leaving her corporate position to pursue this new venture, her enthusiasm in creating good food is evident and contagious. We delight in stopping in to the store to stock the fridge with kombucha, always having a great chat, and leaving with a smile. We highly recommend stopping in here for a healthy, gluten-free meal. Congratulations Good Food To Go. We wish you much success! Dry January? Kombucha to the rescue! If you're like us and participating in dry January (taking a wee break from alcohol), kombucha mocktails are a must. 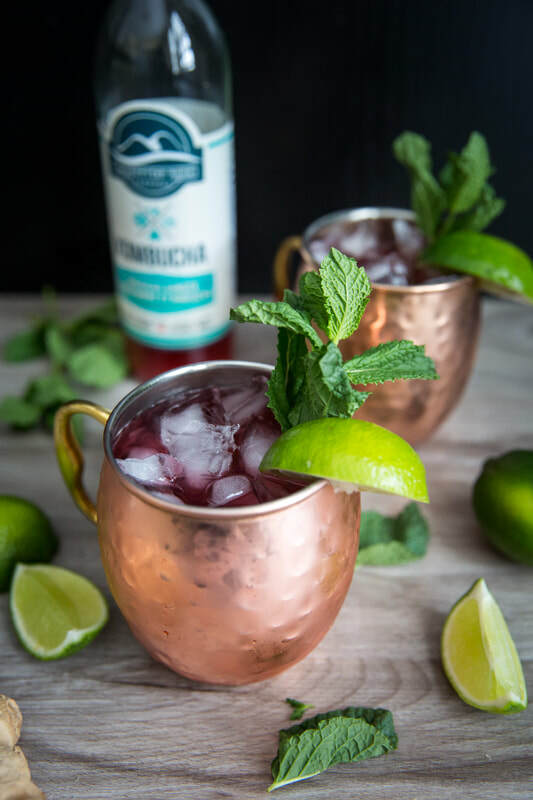 You can still be fancy with a booze-less Moscow Mule using Hibiscus Ginger or Just Ginger Kombucha (or keep it traditional and add the vodka if you'd prefer). The best part is our booch is low in sugar, has beneficial live bacteria and organic acids, uses real ginger (go away Winter cold & flu! ), and adding fresh lime juice gives you extra Vitamin C! Get crazy and experiment with different recipes, flavours, and add some fresh fruit to your glass.